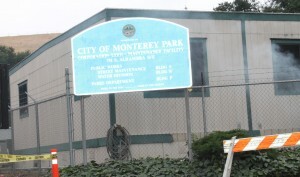 The Monterey Park City Employees held an open house at the City Yard on May 23rd. 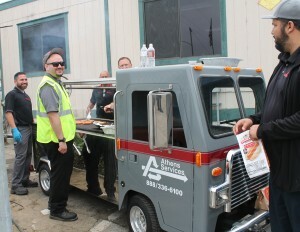 Employees from Athens Services manned their famous mini-truck grill and provided 400 hamburgers and hot dogs for the city staff and residents. 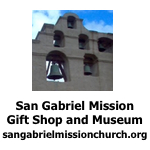 The famous Chili Cook Off featured several different chili dishes for the hungry guests to enjoy. Each dish was voted on and the grand winner was Rudy Valenzuela. 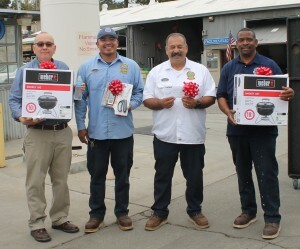 His fellow cooks: Cesar Vega, Manuel Blankbucket and Darryl Burnett joined in the celebration. The event also featured several booths that included Athens Services, WARE Disposal, Auto Zone, Snap On Tools and more companies that work with our city. 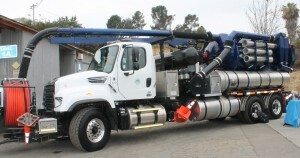 The famous sewer vacuum cleaner truck that helps keep our sewer lines running free. 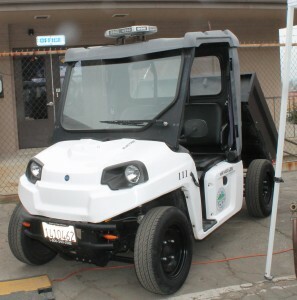 The Parks Department featured several vehicles, which service our city’s parks by keeping them manicured and green. 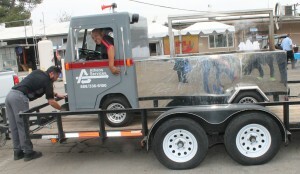 One of the mini trucks used by our city staff. 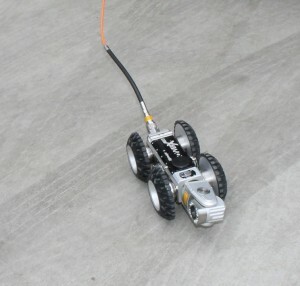 A mini camera robot and computer screen that are amounted on our new CCBC truck. 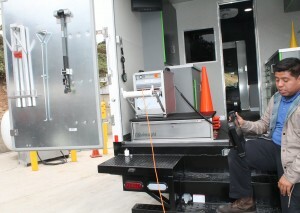 This truck will allow our staff to view all of our sewer lines and check on them to help prevent disasters like broken or backed up lines in our city. 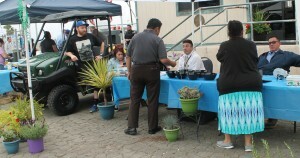 The residents enjoyed the Open House at our City Yard. It was their chance to meet their employees who are dedicated to our 102-year-old hometown.